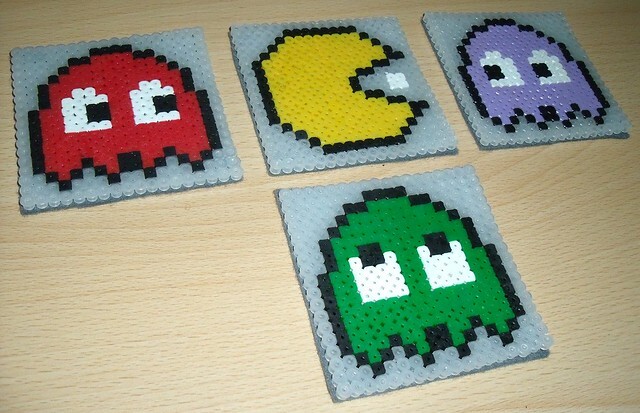 A couple of friends made these Pacman coasters out of Hama / iron-on beads and gave them to me as a flatwarming gift. I got them a few months ago, but haven’t got round to photographing and blogging them until now. They are pretty cool! I use them at my computer desk. You can find out how to make them yourself too.